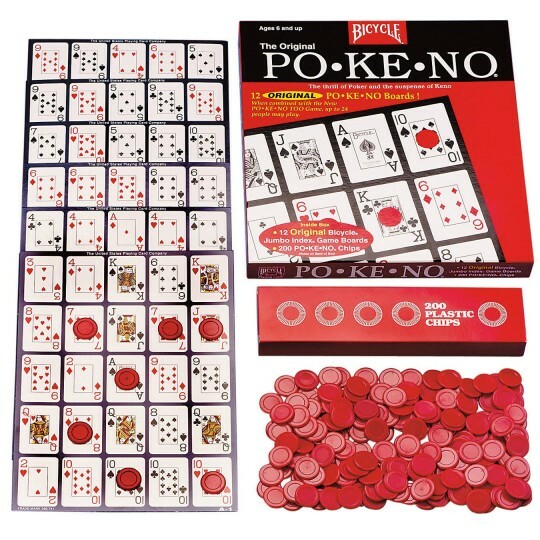 A fun Bingo-style game with a Poker twist! Jumbo 7" x 9-1/2" game boards. Makes play easier for clients! Cover cards to finish lines. They can also play four corners or cover all. Jumbo 7" x 9-1/2" game boards make play easier for your clients! Like Bingo, players cover the cards on their boards to finish lines, four corners or cover all. For up to 12 players. 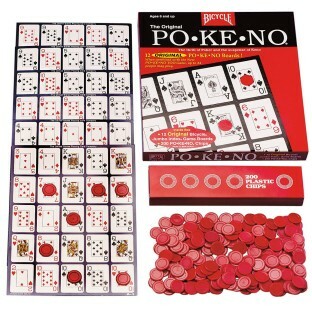 Includes 12 jumbo game boards, 200 plastic chips and instructions. Great interactive activity. Promotes family time and can be used as a means to save money for something you or your child might want to buy later.